When you are in pain or experiencing a dental emergency, trying to find an after-hours dentist can seem like an impossible task, but it doesn’t have to be. 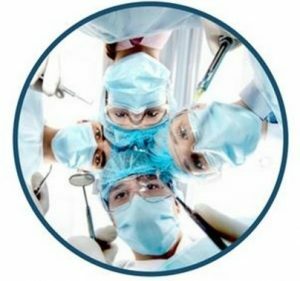 We have taken the hassle out of finding a qualified dentist with a listing of walk-in clinics and 24-hour emergency dentists in Milwaukee, WI. Our 24-hour line can help get you connected with a local dentist that is equipped to handle your dental emergency and give you quick relief, even at hours where your regular dentist is unavailable. Do not worry when you find yourself in an emergency dental situation. With our convenient listings, you can be prepared when the time comes instead of having to scramble around to try to figure out where to go to be seen. Here you will see a detailed listing of any emergency dental services and after-hours clinics in Milwaukee. We only list dentist who offers after hours or weekend emergency services, such as clinics that are open after 6 p.m. or on Saturdays, so you can find an emergency dentist in Milwaukee that works for you. There are several options for handling your dental emergency in Milwaukee, WI. Walk-In Dental Clinics are available whenever an emergency strikes. You can get seen by a qualified dentist without an appointment. If you have a dental issue that requires immediate attention, a walk-in clinic can provide you that prompt attention without the need to schedule an appointment. After-hours dental clinics are regular dental offices that extend their business and operating hours past the typical 9 to 5 times. They provide this service to offer better flexibility for patients who may work during the daytime or those who are in need of emergency treatment. All of our dentists who are listed below offer after hours services. Confidental Dental Group, Eastside Dental, West Allis Dental Care, and Forest Home Dental Associates all offer services on Saturdays. Some dental clinics even offer emergency hours so that you can call and speak with a qualified staff member to determine if your dental condition requires immediate attention. Address: Referral Service to different Dental Offices crosswise Milwaukee. 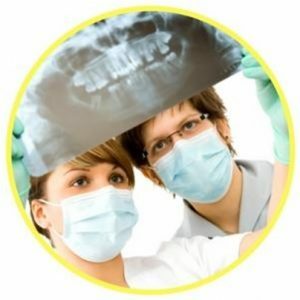 Description: Find the best emergency dentists for you in Milwaukee. Use our 24-7 referral service and be connected to a dentist near you in minutes. We help you find an emergency dentist even without insurance. 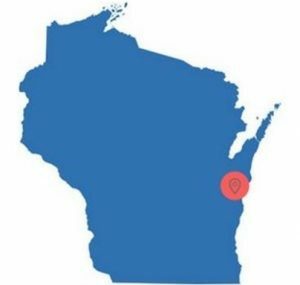 Easily find Wisconsin emergency dentists with our service. Description: Confidental Dental Group has two locations in Milwaukee that are open late (until 6 p.m.) and on Saturdays until noon. Dr. Costello has over 30 years of experience, including handling emergency dental situations. This office does utilize sedation methods to make you comfortable during your procedures. You can pay by credit card, including Visa, Discover, American Express, and MasterCard. They accept most major dental insurance and also have a membership club that offers several financing options, including through CareCredit, to help you pay. Description: Dr. Galka has almost 40 years of experience practicing dentistry and his staff members do their best to schedule last-minute appointments to accommodate patients with a true dental emergency. The office is regularly open on weekdays from 8 a.m. to 5 p.m., and they are open alternating Saturdays from 8 a.m. to noon. They accept all major credit cards, cash, check, and offer several financing options for qualifying patient, so you don’t have to wait in pain. Description: This emergency dental clinic is open Monday through Saturday and will often attend to true emergencies on Sunday as well. Each doctor is staying current by continuing education, so they can provide you with the best care possible to handle your dental emergency. They offer many financial solutions to handle your payment, including options for those who don’t have insurance and accept all major credit cards. Calling their emergency line, which is available 24-hours a day, could get you an immediate appointment, but they take walk-ins as well. Wednesday & Thursday: 8:00 a.m. – 6:30 p.m. Description: Dr. Schmidt is an excellent choice if you’re looking for a Saturday dentist in Milwaukee. Their office is open from 8 a.m. until 2 p.m. on Saturday which gives you a great opportunity to be seen for your emergency. They frequently handle dental emergencies like root canals, bridges, and dental crowns. They offer same day appointments, which may help you skip the long office wait. Monday-Thursday-Friday: 8 a.m. – 5 p.m.
Tuesday-Saturday: 8 a.m. – 2 p.m. When you arrive at your emergency dental appointment in Milwaukee, Wisconsin, you will want to try and remember it’s just like a regular dental visit. The one big difference between the two is that an emergency dentist is able to see you quickly, typically the same day, and provide you with a variety of emergency treatments to handle incidents that involve heavy bleeding or severe pain, which shouldn’t be ignored. If this is your first visit to the office you choose to handle your dental emergency in Milwaukee, you will be considered a “new patient.” Remember to have all important paperwork with you, such as your dental records and insurance information to speed up the process. You may be asked to provide photo identification and your social security number for identification purposes as well. During an emergency visit, you can expect the dentist to offer you solutions for your discomfort, such as pain medications. Extractions may be done on the spot, or he or she may schedule a nearby appointment to further treat the cause of your tooth pain if it is severe. The emergency dentist will help you manage your pain until you can be seen for the required procedure, or until you can go to your regular dentist. When you read through the advice for Emergency Dentists USA, it’s important to realize that everything listed is not to be a substitute for professional medical advice. Immediate treatment for your dental emergency can be the difference in saving a fractured tooth and losing it forever and it definitely makes a big difference in a dental abscess in the time you receive the proper antibiotic. Pain relievers can help to alleviate any discomfort or pain you feel during the healing process as well. Every medical and dental emergency is different with unique circumstances, so it is always best to visit an emergency dentist for any of the emergencies listed below. The soft tissue in your mouth is very sensitive, which means when it undergoes trauma or an injury, it can also be very painful. Soft tissues within the mouth include the areas such as your tongue, gums, lips, and cheeks. 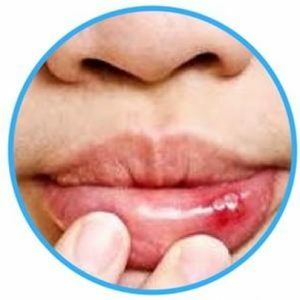 The biggest initial concern when dealing with a soft tissue injury in the mouth is bleeding. Often, soft tissue injuries don’t cause a lot of bleeding, but when they do, it can be quite alarming. The first thing you want to do is apply a slight bit of pressure to the site to stop the bleeding. Then, rinse your mouth with a saltwater solution, which will help you manage the pain and spread of infection until you are able to see an emergency dentist in Milwaukee. Sometimes, dental emergencies can be due to traumatic accidents to the teeth. Chipped teeth are some of the most common dental trauma emergencies that can happen. The more severe types of dental traumas are knocked out teeth, but they also occur less frequently. Treatment of a dental trauma will depend on the nature of the injury. An emergency dentist in Milwaukee, Wisconsin can potentially repair and save the tooth, which is why it is important to see one as soon as possible. Fillings may easily fall out, especially if the decay under the filling continues to spread. Losing a filling is not only painful, but leaves the cavity open to bacteria and further damage. Before your dental appointment or visit, you can ease pain and discomfort by applying a little bit of clove oil to the sensitive area of your tooth using a cotton ball. 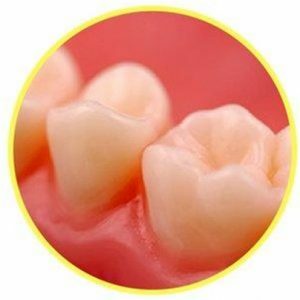 Dental cement, which is available at your local pharmacy, can easily be placed over the missing filling to help protect the exposed tooth until you are able to see an emergency dentist. A loose or lost crown can be a potentially painful situation, and the newly exposed tooth will likely be sensitive to extreme temperatures. If you lose your crown, you will need to have a new one made at the dentist’s office. In the meantime, take a look at the tooth and gently clean it using a toothbrush. You should immediately make an appointment to have your crown replaced at an emergency dentist in Milwaukee. Tooth extractions are common in the case of dental emergencies. Your dentist could recommend an emergency tooth extraction for a number of reasons. Tooth pain can be caused by impacted teeth. Often, wisdom teeth become impacted, meaning there is not adequate space for the teeth to grow, and need to be removed. Your dentist may also recommend an emergency extraction for broken or fractured teeth or in the case of a tooth infection. Extractions may help the dentist treat the infection and prevent it from spreading to other teeth. Your dentist may choose to use sedatives for the extraction process. You should expect a healing period of at least 48 hours, some pain and discomfort, and slight swelling. In serious cases, the area may not heal completely for 3-6 months. The dentist will often prescribe medication to help you manage the pain and recommend a diet of only soft foods during the healing process. You can apply ice to the area to help naturally manage the pain after the procedure. You should not smoke or use tobacco products until the extraction area is healed. Your dentist will likely require you have someone drive you home after the procedure. He or she will also work with you to schedule a follow up appointment to monitor the healing process. Often, when faced with a dental emergency, the first thought many people have is to go to the nearest emergency room for treatment. It’s important to remember that while an emergency room is equipped to handle emergencies when they arise, sometimes they are not the most qualified for dental emergencies. A dental emergency such as a knocked out tooth must be handled in a quick and swift manner to avoid any complications. Typically, if your dental pain is due to an accident or injury, such as a car wreck, you should visit an emergency room. If the pain is simply due to a dental injury, infection, lost tooth, or other concern only affecting the mouth and teeth, an emergency dentist is usually the most suitable option. For individuals who suffer from chronic health conditions or immune system dysfunction, it might be best to err on the side of caution and choose an emergency room for treatment. If you experience an impact on your head or neck or breathing problems, an emergency room is also the place to go for treatment. For other dental emergencies, it’s best to locate an emergency dentist in Milwaukee, Wisconsin first to ensure you receive the proper treatment. Dentists are better equipped to handle any dental emergencies that come up because they have specialized in the treatment of the mouth and its anatomy. When faced an emergency situation, you will want to ask yourself what the best form of treatment will be for you so that you can conclude whether you should seek out an emergency Milwaukee dentist or head to the local hospital. When it comes to your dental health, you want to remember to act quickly in time of an emergency so that you can prevent any complications from occurring. It’s always best to seek treatment at a Milwaukee, Wisconsin emergency dentist in a timely manner. Let us help you find a dentist for cheap wisdom teeth extraction with our directory. They will not only be better qualified to handle and treat your emergency, but they can also provide you with future follow-up care. Remember to check out the Milwaukee local dental society before you see a new dentist. This will allow you to review their certification so that you can ensure they are qualified to handle your treatment. Milwaukee is a large city with many different options for emergency dental care. In the case of a dental emergency, which doesn’t always happen at the most convenient time, you may need to find a dentist other than your regular dentist. There is no reason to suffer from the discomfort of severe tooth pain. Our Emergency Dental USA Referral Service line is open 24-hours to cut the hassle and quickly connect you with an emergency dentist.